At Clairvaux you’ll find a thoughtful, goal-oriented approach that enables riders to get the most from their horse. In our horseback riding lessons, we teach correct fundamentals to become more secure, confident and effective, leading to enhanced results in the show ring.We teach riders of all ages and abilities; whether you are a beginner just learning the ropes, or an advanced horseback rider looking to polish skills for the competition arena, we can help. We offer private and group lessons. Seasoned reliable school horses are available; ship-ins welcome. We also have several horses available to our students for lease and partial lease. Visit the About Us pages to learn more about us and our instructors. 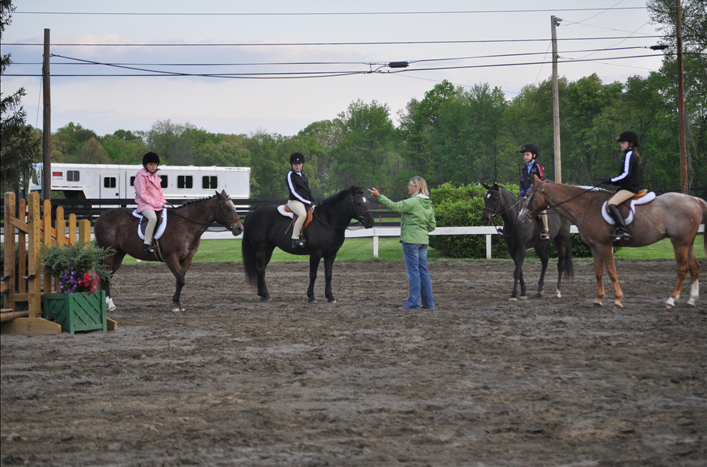 Riders are introduced to the basics of riding, including the proper position of the body, how to make the horse go (at the walk and trot) and how to stop and slow down. Riders are either lead around by the trainer or by a long rope, allowing the instructor to maintain control over the horse’s speed and direction. Riders confirm the riding position and learn to communicate with the horse. Exercises for practicing steering and starting and stopping the horse are introduced and practiced. Control of the horse’s pace at the walk and trot is emphasized. Students learn to be independently in control of their horse and building “muscle memory” is commenced. Students learn how to canter and go over small obstacles, such as poles on the ground and small cross-rails. 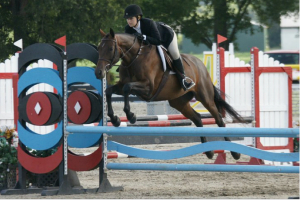 Correct approach and the use of the arena is emphasized, so when the rider is ready to start jumping higher, he or she understands the basics of successfully getting to and over each jump. For riders with secure positions and control of the horse’s pace, courses of jumps are negotiated and feedback given. 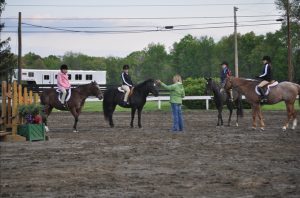 Riders learn how preparatory flatwork impacts how a course is ridden. Correct position and control of the horse are emphasized. Riders learn how to influence the horse in subtle ways including lengthening and shortening the stride at each gait, plus how to achieve the best performance from the horse in the show ring. 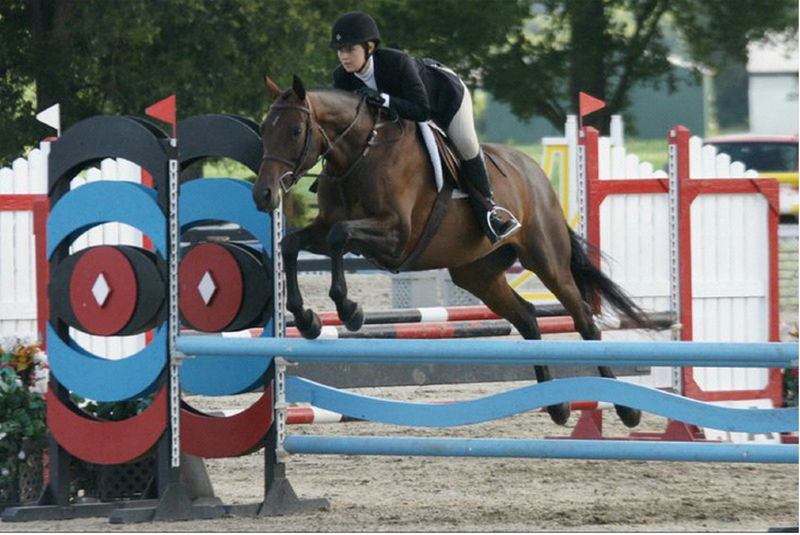 The finer points of equitation are covered in order to produce a winning round. For riders on their own horses, how to train the horse is paramount; exercises will be prescribed for practice between each lesson. 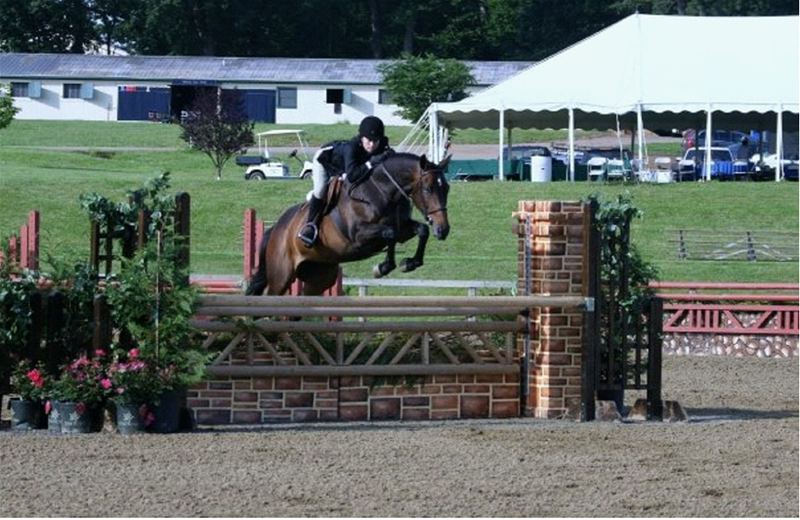 Depending on the riders’ competitive goals, whether competing in Hunters, Jumpers or Equitation, exercises and courses are tailored to each rider’s needs. Riders are placed into groups based on age and/or skill level. Competing in horse shows is a way to put riding skills to the test. Whether getting ready for your first show or trying to move up to the next division, we can help polish your riding and prepare you to meet the challenge. This is also a great time to watch other riders and learn what it takes to achieve a winning round. Sportsmanship and teamwork are emphasized. Additional costs apply. To learn more, please click here to see Clairvaux’s Lessons Policies. 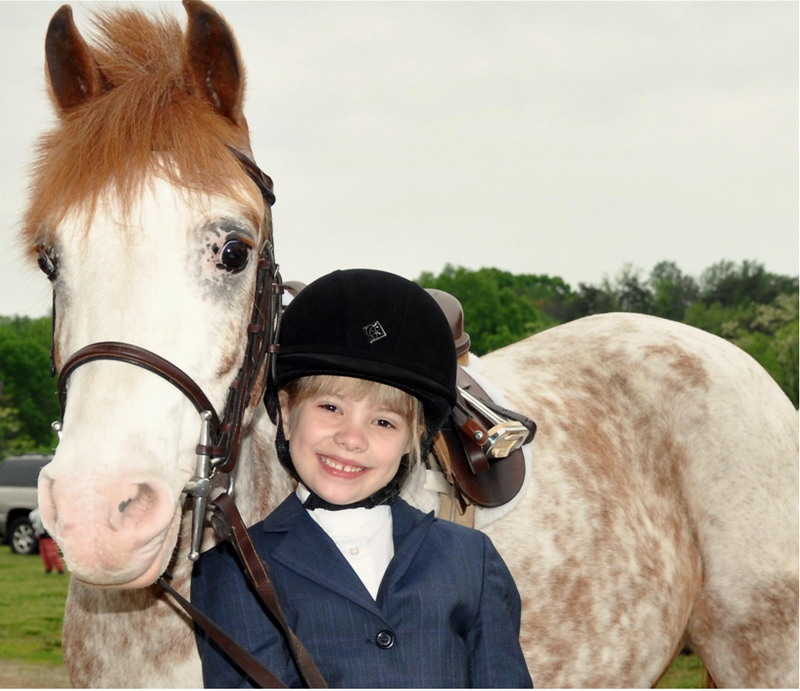 Please note that we do not offer free riding assessments. We are happy to set up a lesson so we can get to know each other and we can show you our program and how we can help you. We also do not host birthday parties. Please contact us for further information on horseback riding lessons or for more information on our services and facilities.